When sharing personal stories in business, using props can have a powerful impact. Last week I ran a workshop with 100 leaders from Telstra. Prior to the event I worked with one of the senior leaders, Jon Lipton. He was asked to introduce me and wanted to share a story. After I had finished high school a small group of us joined the local cricket club, Koonung Heights. It is based in the eastern suburbs of Melbourne. For me this was a great social activity and a good way to stay in touch with some good mates. Every Tuesday & Thursday night we would meet for training. We would get together for a meal and a few beers – the only downside for me was having to play cricket for 6 hours every Saturday. It became apparent to most of my peers reasonably quickly that I had no real ability to play the game. I couldn’t bowl and wasn’t very good at batting. For those that know the game, if you’re not a fantastic batter and you don’t bowl you need to be a great fielder. As a fielder I was great. I’d catch everything that came near me, the only problem was that I could only do this at training. When it came to a match I was completely hopeless. I was so bad, I managed to drop a catch every game for an entire season. 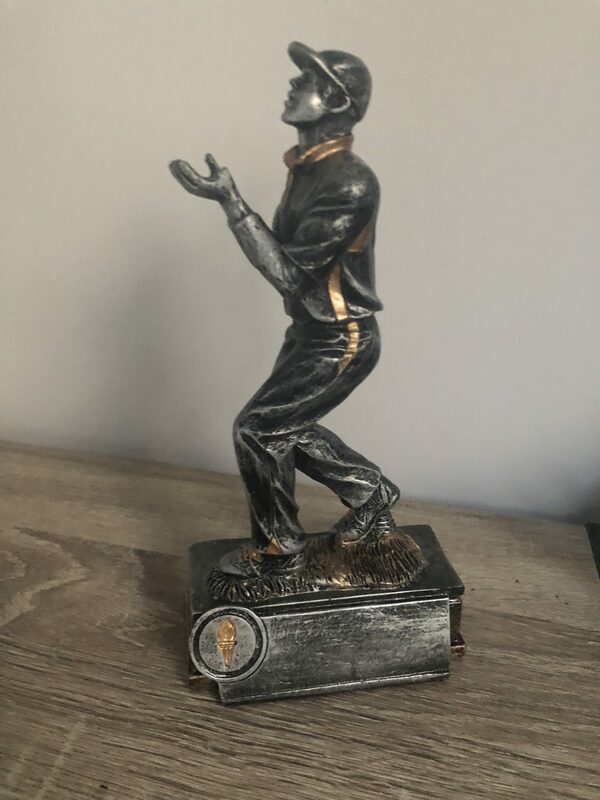 In fact this became quite a joke even to the point where in the cricket season 1992/1993, I won the award for the worst fielder in the entire competition. Over the next season as a cricket club, we got a bit more serious about winning and went through a bit of change. We hired a coach and we grew our teams from the z division into a number of different grades. Most of my mates started to move into some of the higher grades and most of the social discussions would be centered on events in the higher grades. I continued to catch everything at training and continued to drop everything in the actual game. Looking back on it now, I had such self-doubt I remember dreading the ball being hit my way as I knew I would drop it. It felt like it was overnight, but I’m sure in reality it was over a longer period of time, I went from please don’t hit it to me, to I want the ball hit to me so I can catch it. Sure enough I went on to win the most ever catches in a season 1994/95. I invite you to think about the importance of sticking to a strategy and to trust the process even when things seem tough or there doesn’t appear like there is light at the end of the tunnel. Together we may even catch more balls than we drop. I asked Jon if he happened to still have his trophy from all those years ago. He responded with a smile and ‘I absolutely do’. I suggested Jon use the prop and pull it out when he mentioned the award. Jon did this and the trophy stood on display for the rest of his story and introduction. A week later I asked Jon if he had received any feedback from the story. He advised the feedback was good. Some people commented how they could visualise and relate to the story. Others said they really enjoyed the humour and humility. He even said that some provided very practical cricket advice that his coach should have put him in a reaction position like slips so he didn’t have time to think. So next time you are sharing a personal story, think about using a prop that could support your message. You may want to consider logistics too. For example, if you are sharing a story about your horse, perhaps have a picture rather than bringing your horse to work. If you have examples of great props and stories that you have seen or used I would love to hear them too.